This is my first post and predictably I'm asking for help... 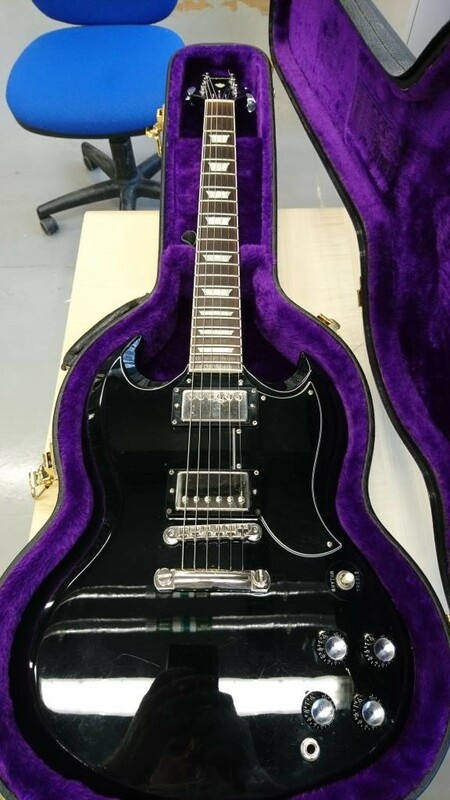 I've just won a Japanese Breezysound on eBay. 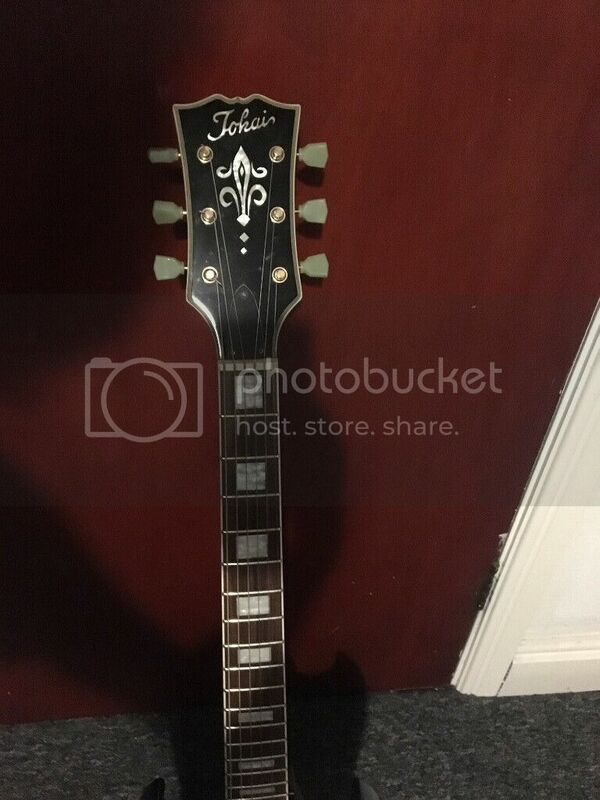 Ive not paid yet as I'm getting wobbly that it could be fake, or at least not Japanese as claimed. 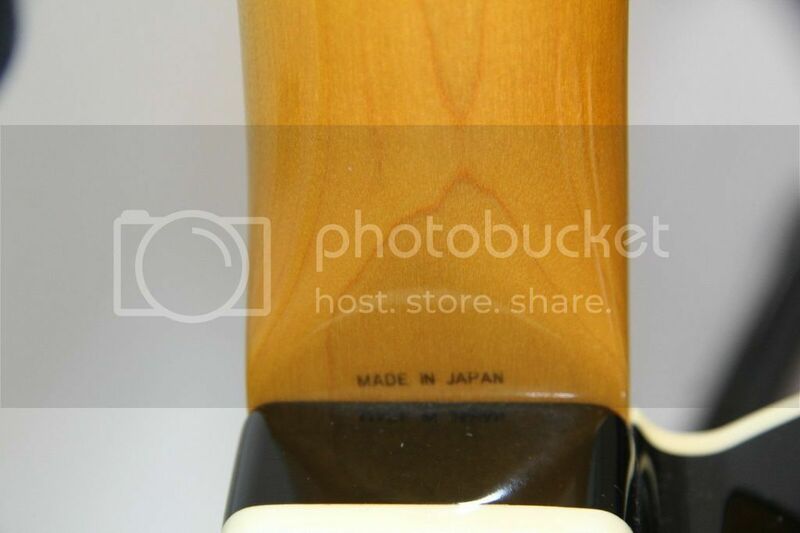 'Made in Japan' is apparently stamped on the heel of the neck. 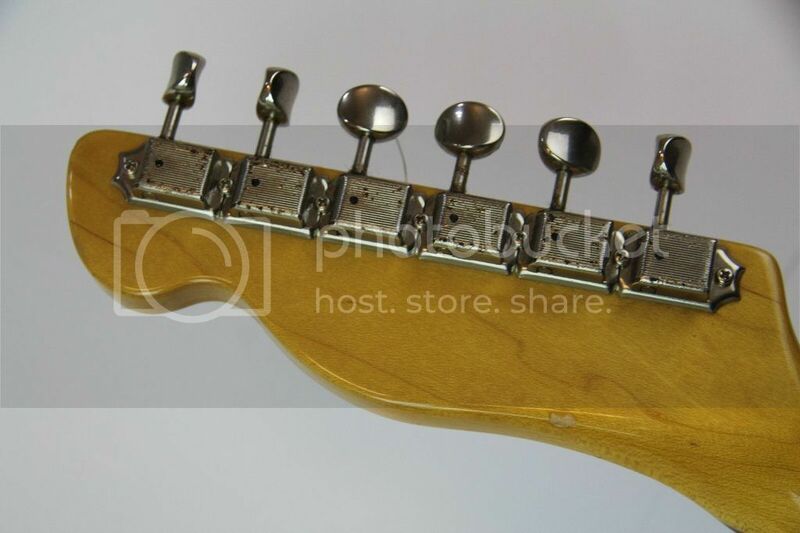 Non-lawsuit headstock. With script font. 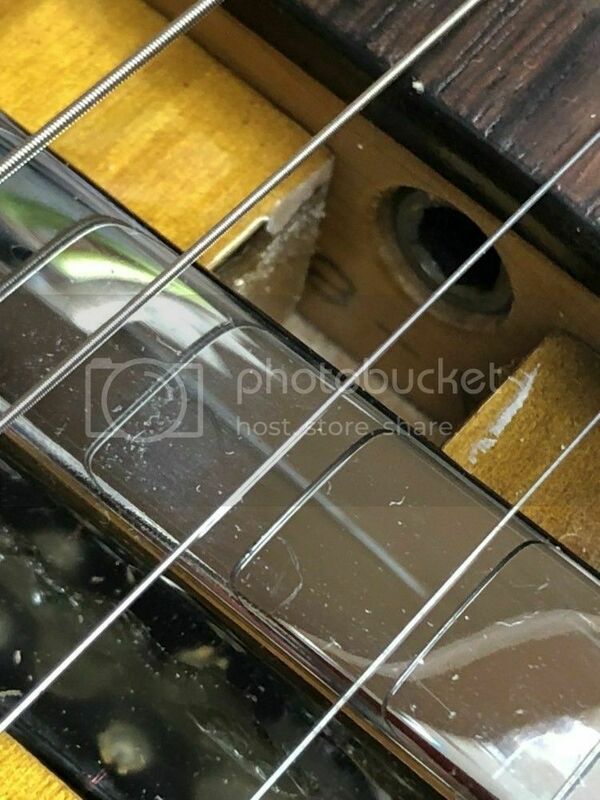 Tuners appear to be the ribbed Gotoh Kluson style. Made in Japan is stamped on the pots too. 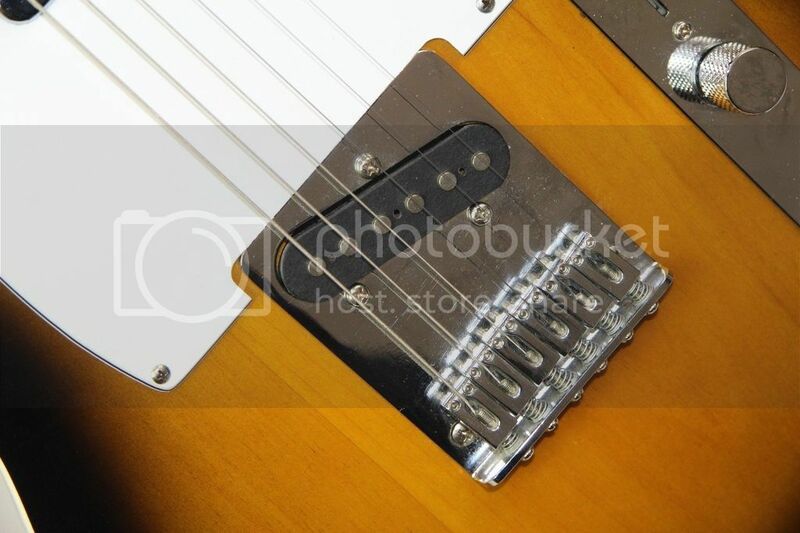 No visible Tokai markings on the bridge. 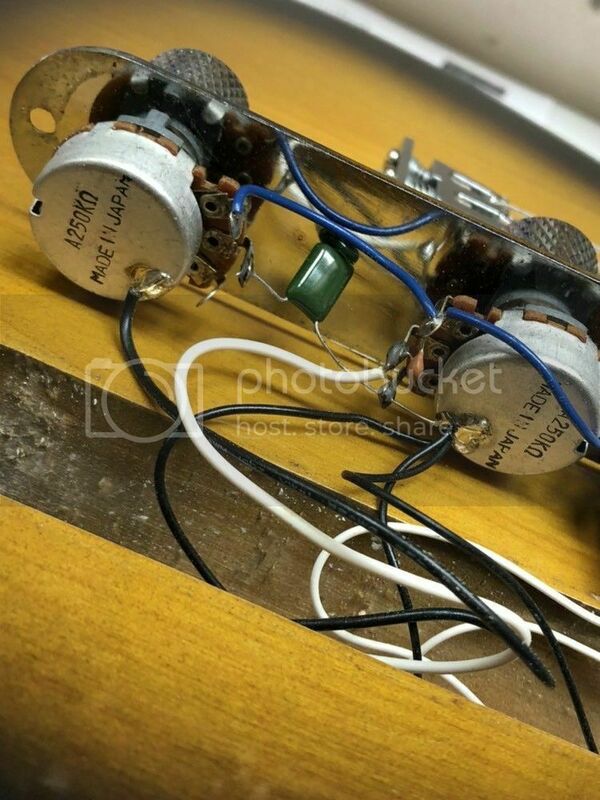 I've read some Tokais were produced without serial numbers, but I'm guessing these were also the easiest to copy! I'd be very grateful of anyones opinions on all this. 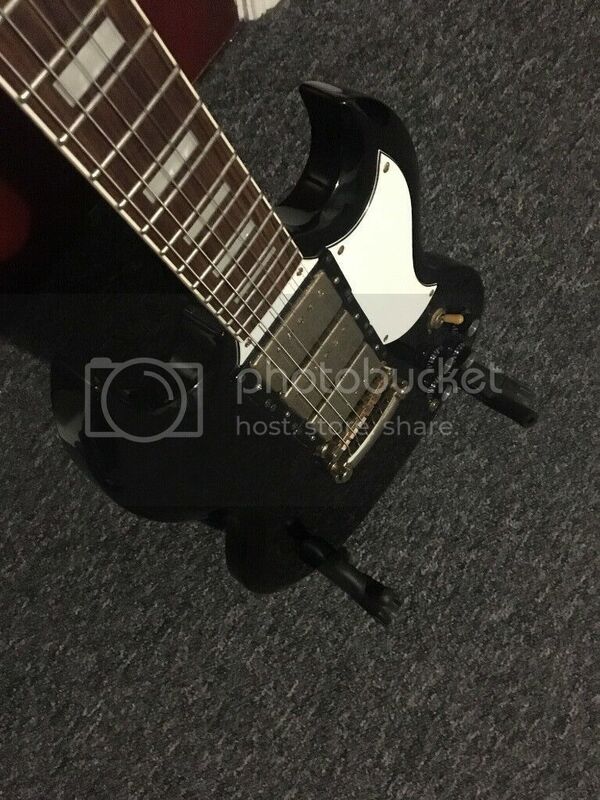 The neck and tuners look like legit 1985, the guard and bridge/saddles are not original, the body looks right but without cavity pics not much more can be said. Thank JEM that's a start at least. I can post any internal pics until I have it, but then it's too late I guess.. Looking from the front it seems like the body is squared off at the jack input. Is this normal for a breezy or should the curve of the body continue? 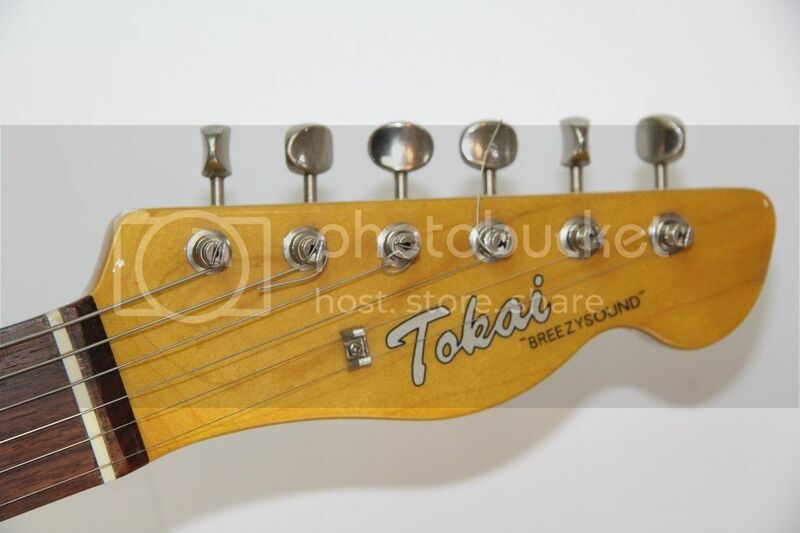 The neck is legit but, I don't think I've seen a Tokai body in that color double bound so if I had to guess I'd think the body might not be legit but hopefully some of the other more knowledgeable members will chime in. 84 TTE looks like a good match to me. 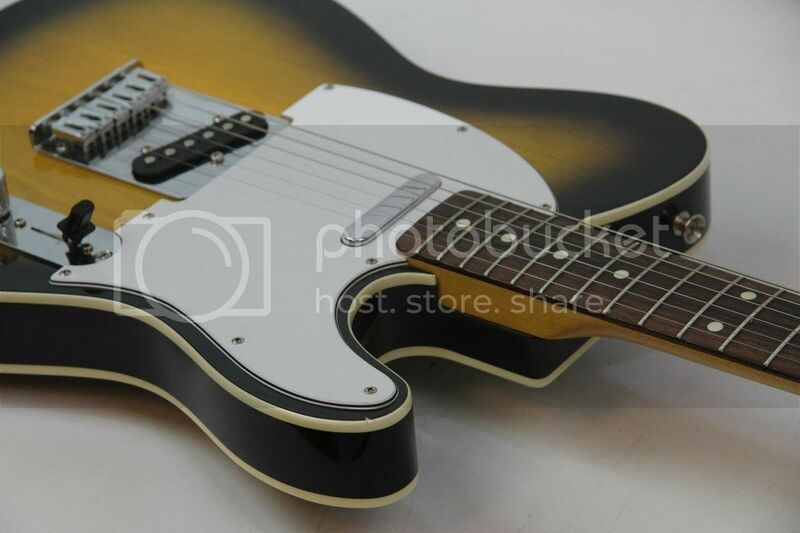 they are great guitars underestimated for years, as are the Epiphone Elites that are also made in Japan by Fujigen. 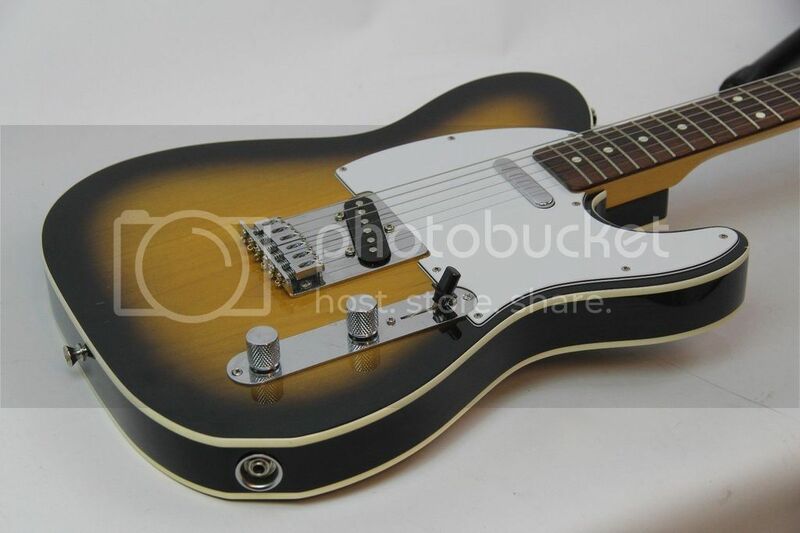 as are the Epiphone Elites that are also made in Japan by Fujigen. 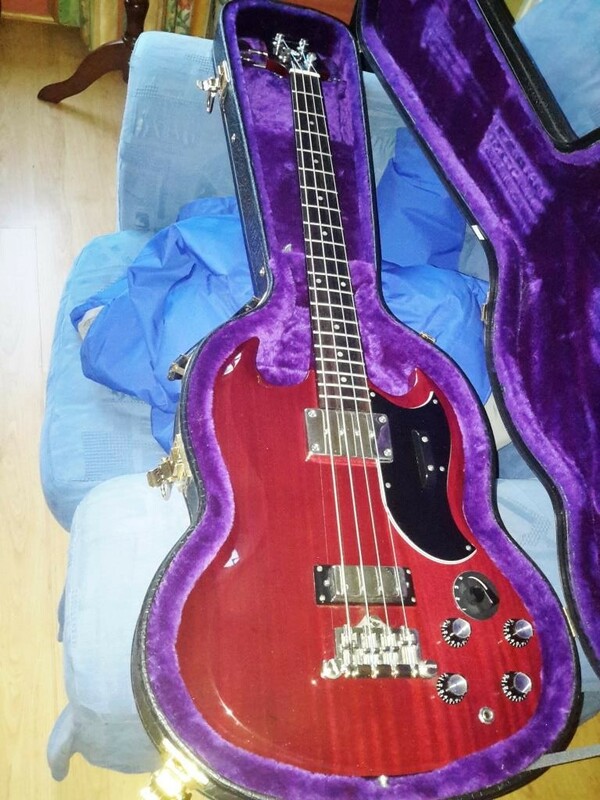 Just bought a 2002/2003 Elite SG with the correct Gibson head stock. Gotta say, I'm pretty thrilled with it. Sorry... didn't mean to hijack the thread... carry on. 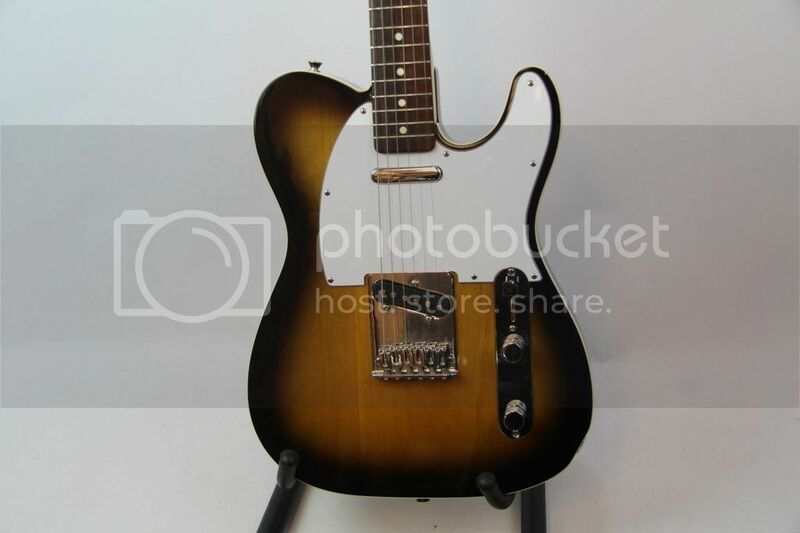 I take it you don't think I need to be concerned by the lack of a serial number? 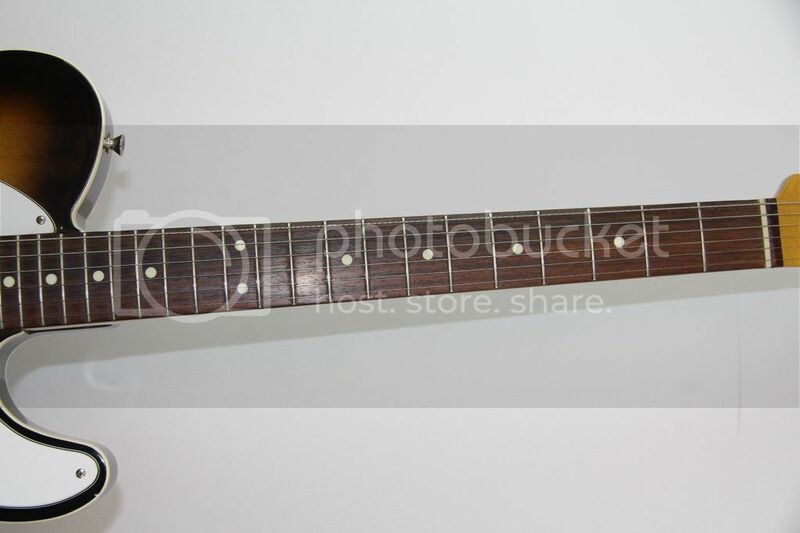 And I'll have a look at those epiphones next time, they sound very interesting too. 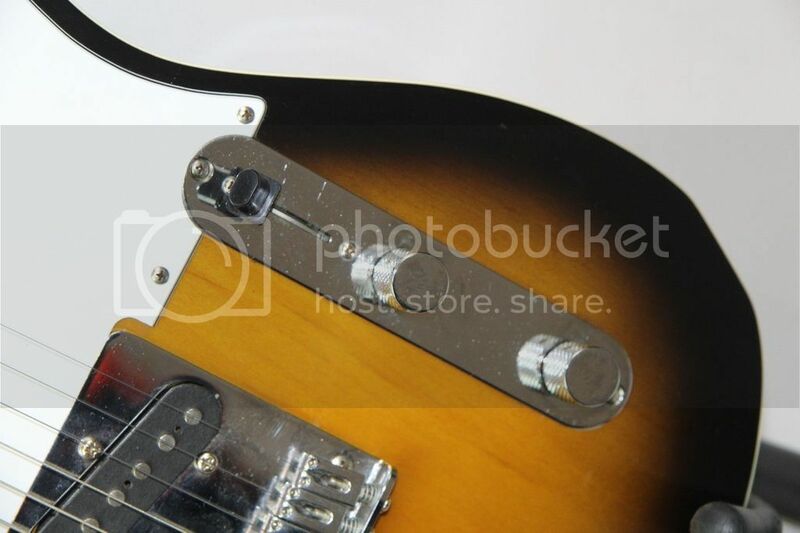 some Tokai's never had serial numbers for some reason. 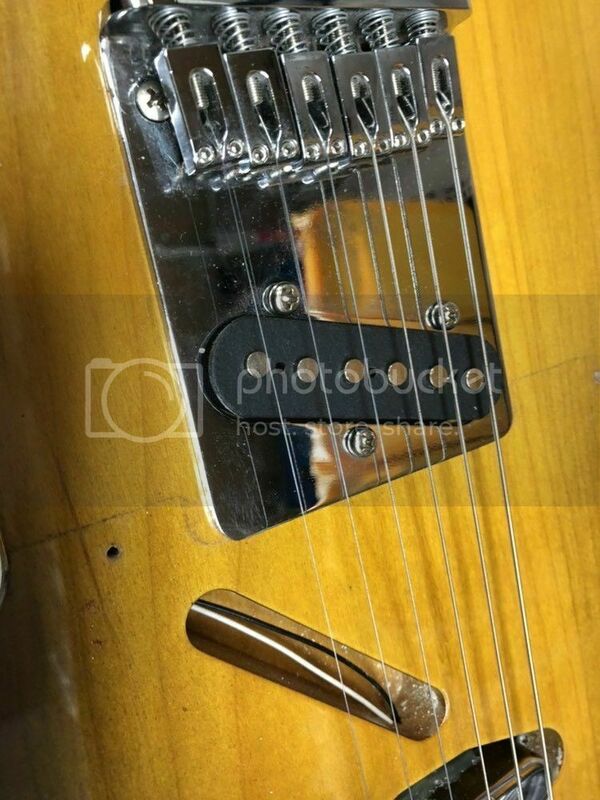 judge a guitar by how it feels and how it sounds and never by the label, unless you are a collector looking for an investment, or you will miss a lot of sweet guitars. 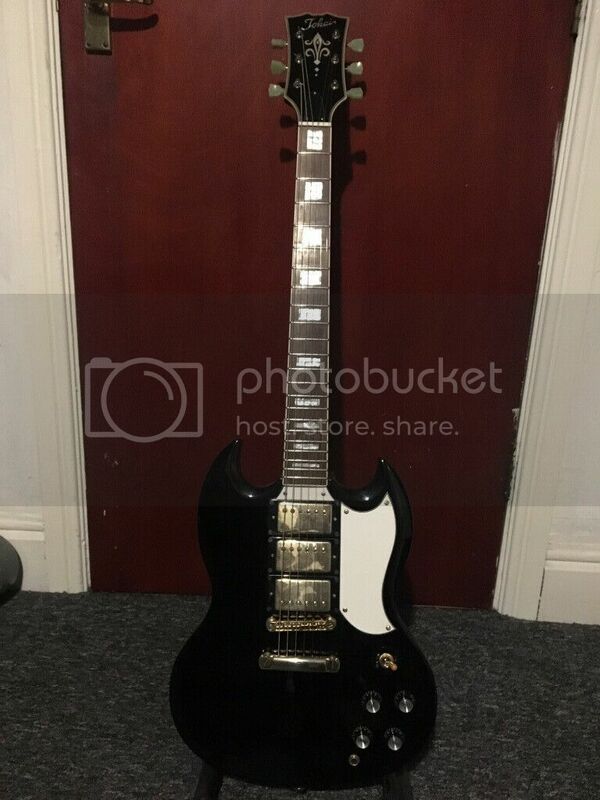 Serial number was on the neck plate in '84-'85, has it also been changed... still not sure about the body, need to see the cavities to be sure. I am holding out hope that based on the rust pitting on the machine heads the rest of the metal work was in a similar state, so a previous owner might have changed the easier bits like bridge and neck plate but left the more fiddly machine heads....that's what im trying to tell myself anyway. 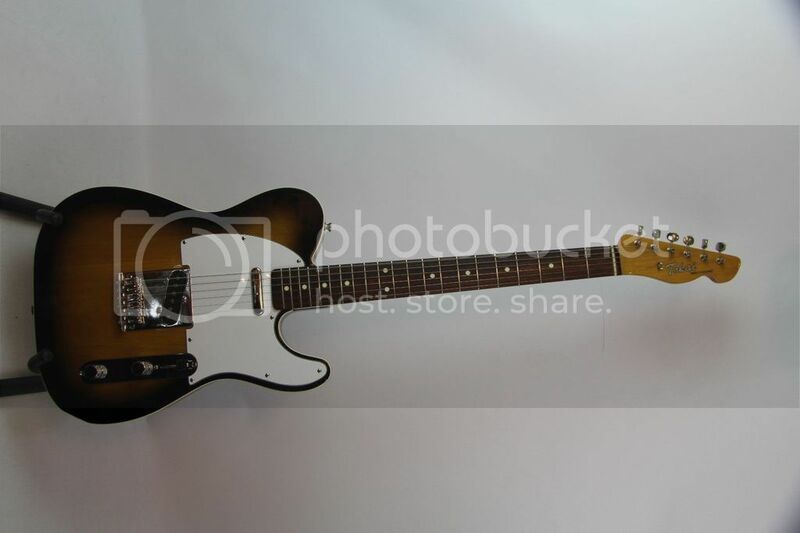 md thems a nice looking pair of axes, should clean up lovely. 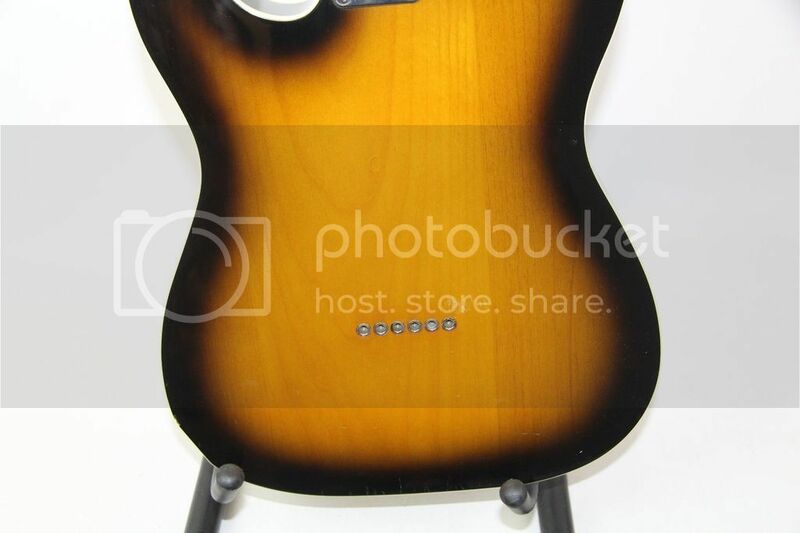 It's got a three screw truss rod cover, so not Japanese.